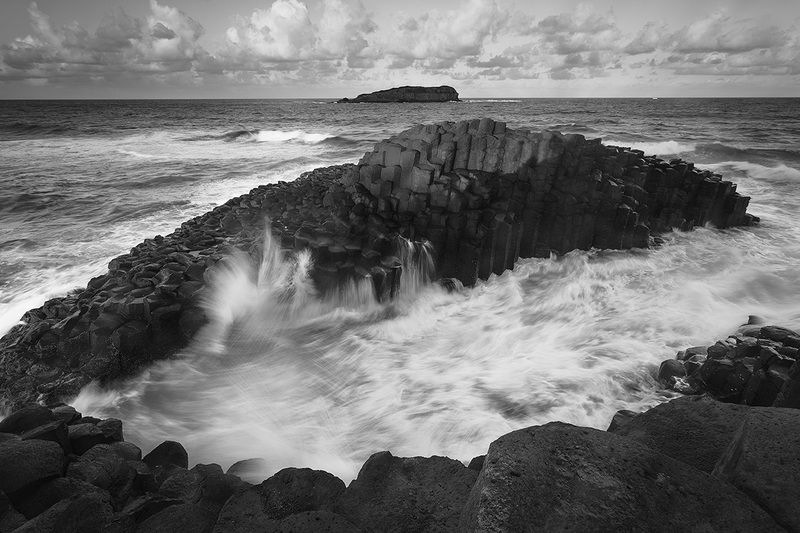 A moody swell rushes through the Giant’s Causeway – Fingal Head, New South Wales. The headland itself was made from a lava flow from the now extinct Tweed Volcano. The rock composition in the area is mainly basalt or andesite. There are walking tracks all over this area. About 500 metres offshore from the headland is Cook Island, a rocky uninhabited island first charted by James Cook in 1770. The stretch of water to the island is called the “Giants Causeway”, named after the famous Giants Causeway between Northern Ireland and Western Scotland. Cook Island was made a marine reserve in 1998 and as such fishing is prohibited in the waters nearby.